The weather outside might not be frightful, or anything even close to resembling a chance of snow, and you probably don't have a fire going yet that's delightful, but regardless it's time to start planning + booking your upcoming holiday celebrations! If you're much like me then your mind is already looking forward into the fall future which is full of scarves and sweaters, reindeer antlers, and pumpkin-spice flavored everything. Whether it's a corporate holiday party or a full-blown festive celebration, our December calendars are filing up fast! 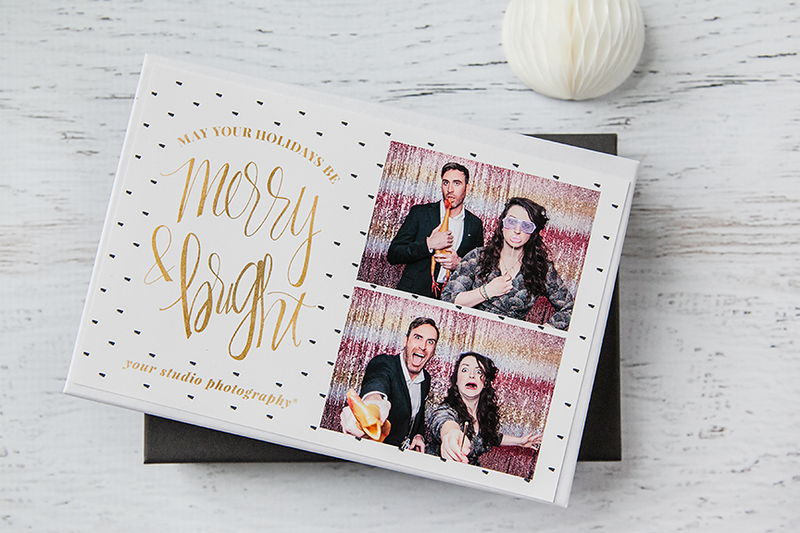 We're gearing up now to make sure that each of these holiday experiences are packed with the newest trends from photo booths to lighting, popular themes, party starters, and so much more. Whether you want to wow your friends or just reward your employees, Snyder Entertainment can help you plan your upcoming holiday party to perfection, and elevate your typical tacky sweater shindig to an entertainment experience that will consume the conversation for months to come! So here are a few of our favorite ways to spice up your seasonal soirée..! 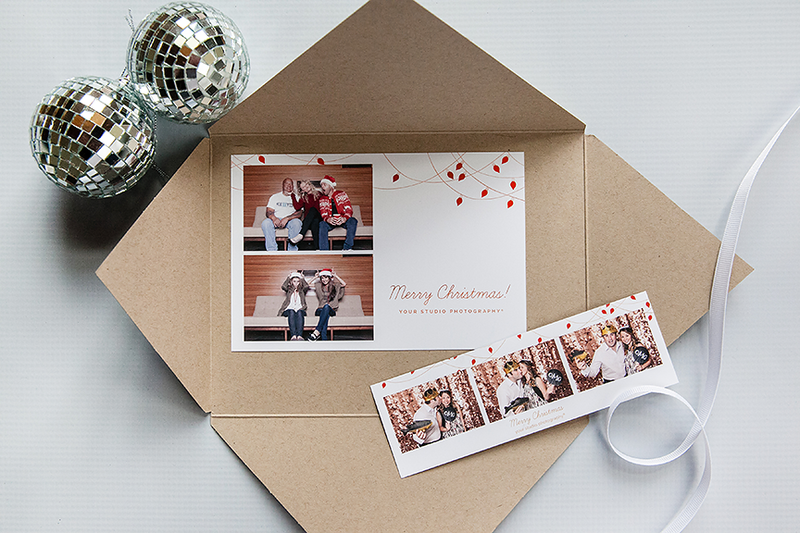 Fun and festive photos of your guests will not only serve as a great reminder about how wonderful the party you threw was, but these photos will also serve as wonderful reminders of friendship + memories of holidays past. These are great options for guest favors, and we elevated them to more than just photo strips, as we now offer customizable photo envelopes! 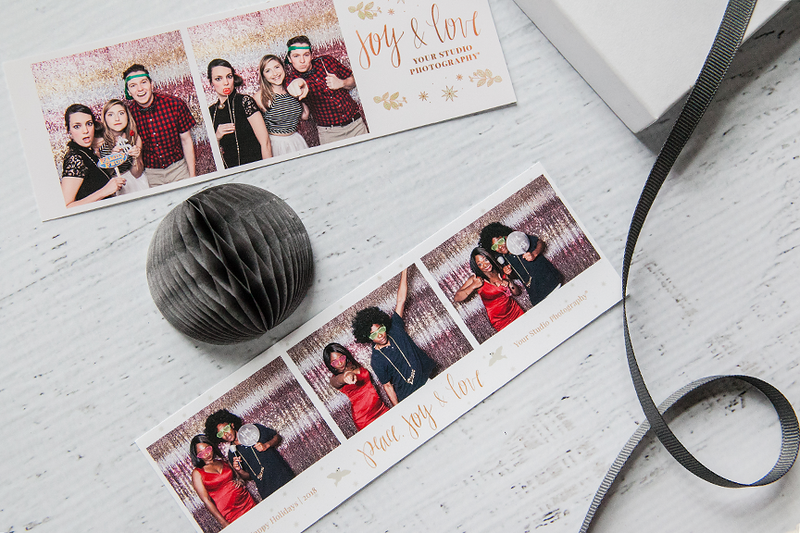 And the custom options don't end there because we're soon-to-be offering Minimalist meets Modern inspired custom photo booth templates as well. These add the right touch of holiday sparkle without making it feel like New Years Eve. Last but not least, we have a huge variety of themed photo booth props including boas, hats, antlers, elf ears, funny signs, and so much more! 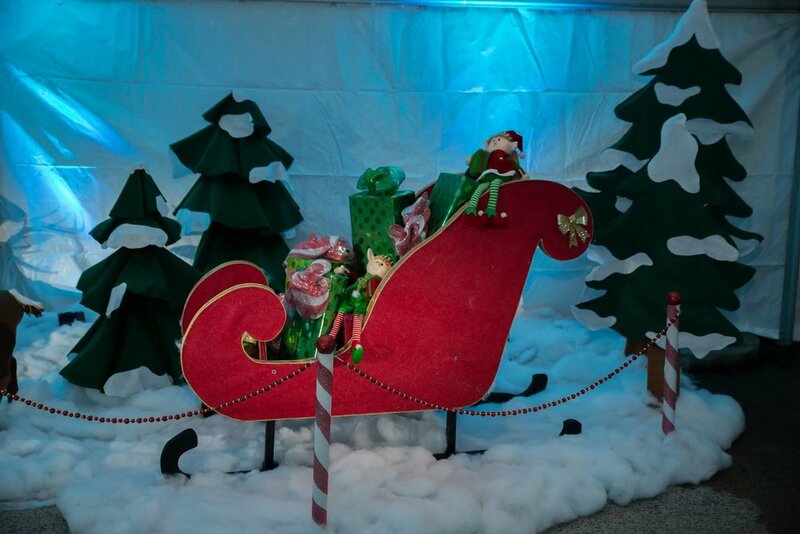 Nothing will take your drab space and turn it into a winter wonderland as quickly as our uplighting can! 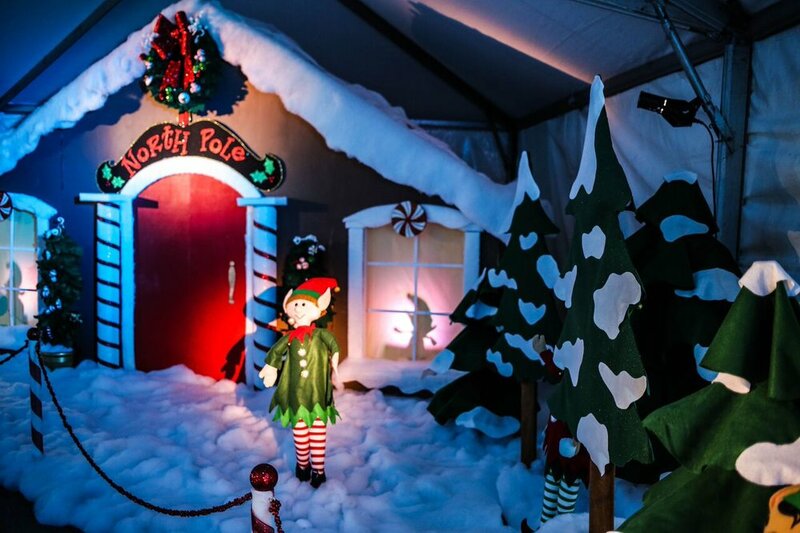 Whether you're trying to recreate the Gingerbread Man's house or the North Pole, our custom color changing technology and LED up lights will transform your space in no time! 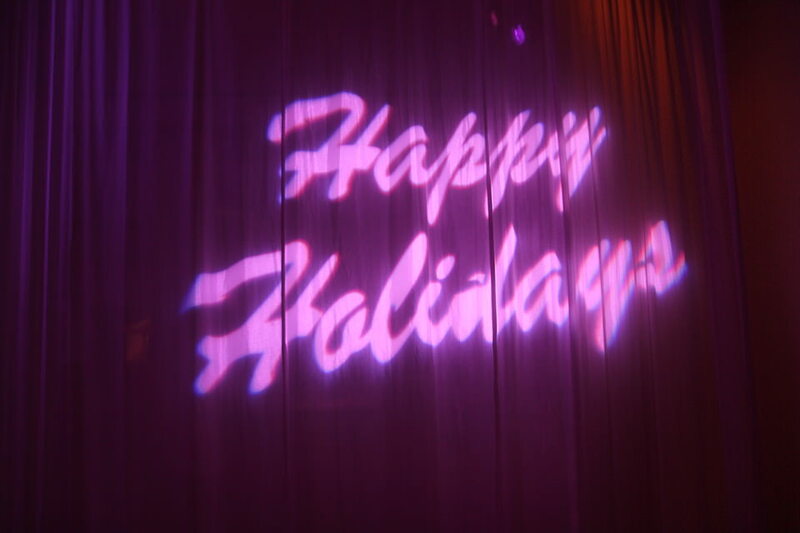 Aside from uplighting we can also create gobo lights that can be easily shown on a dance floor, a wall, a ceiling, or even outside on a semi-smooth surface. These are those perfect little touches that make a huge, lasting impact! "The best way to spread Christmas cheer is singing loud for all to hear!" If you've never heard that line in the movie Elf then I recommend that you 1) stop reading this immediately, 2) purchase/stream the movie, 3) watch it ASAP. Okay, back to the blog now. We all know that DJ's are the bomb dot com, but sometimes depending your soirée, nobody adds to the atmosphere quite like a musician. 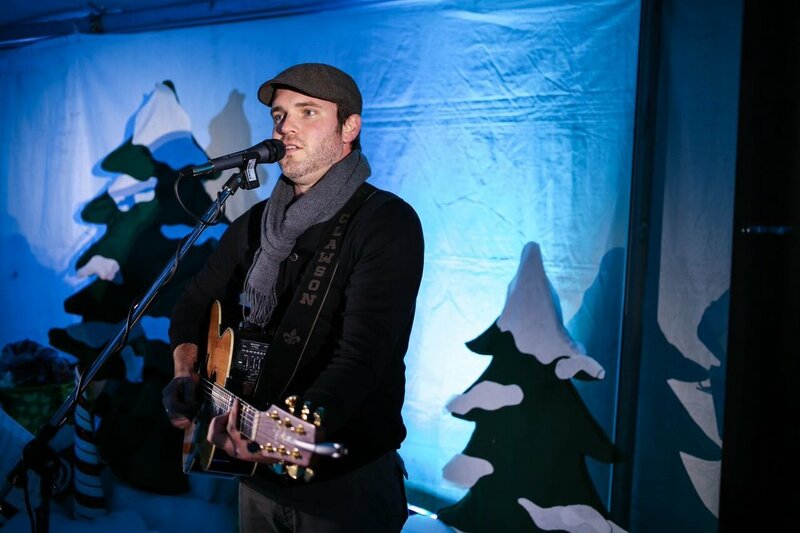 The holidays are all about warm and fuzzy feelings, and there's just something about a musician singing some of my all time favorite holiday anthems that makes me just feel good. We have some of the best musicians in Music City; in fact two of them are Nashville recording artists! Contact us today, secure your date, and let's start planning!